It is a miracle of technology that the single Air Conditioning System can perform two functions and provide the twofold benefits. AC was earlier used to cool the heated spaces, but now it is also helpful for heating the spaces. The AC model which accomplishes this task and makes our life easy is known as “Reverse Cycle Air Conditioning System” or “Heat Pump” or even “Air conditioning with a heat pump”. This feature of reverse functionality is available with the split, packaged, as well as ducted or central AC systems. Now, depending on your particular requirements, you can select the one most appropriate for you. The major concern with it is the placement of the outdoor unit or central unit, as the case may be, to serve the purpose well and avoid getting affected by the extreme weather conditions. However, this is not a big issue in Beacon Hill, Northern Beaches, Warriewood, or other regions of Sydney, considering their climate. But, still, you must consult only reputed service providers for installation of AC, as they can not only complete the task correctly but also guide you in buying the right AC system for your home, office, & other properties. The components are same as in conventional AC system. Then you may ask how does this AC provide heat? 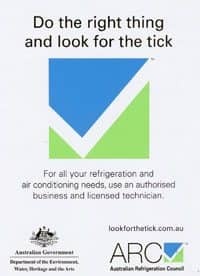 Well, the system is designed in a way that when you keep it on ‘Heating’ mode, the refrigerant behaves oppositely as compared to the time when you keep it on ‘Cooling’ mode. The condenser coils absorb heat from the outside atmosphere, through which refrigerant passes. The compressor pumps the refrigerant into the evaporator coils, and thus refrigerant brings heat inside the room. Reverse Cycle ACs are preferred over electric heaters as they are more efficient in terms of energy, time and cost. Even if the temperature is too low outside, this AC type of system can warm the interiors of your place. They can be a heating solution for spaces which are huge, thus eliminating the need for purchasing multiple heaters. The emission of greenhouse gases by this AC is less than the conventional electric heaters. Some brands have also introduced reverse cycle AC which has built-in air purifying filters, and so you can get rid of harmful particles, dust, bacteria allergens, and even odours with a few models. You can go for AC which is equipped with an inverter for controlling your electricity bills. If you have the Ducted Reverse Cycle Air Conditioning System, you can opt for zoning facility and get enhanced comfort. As an honest AC installation firm, we would not hide the fact that buying and installing the Reverse AC System is indeed an expensive affair, but looking at the long-term benefit, it is completely worth to have one. 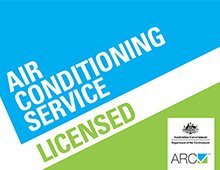 And we can reduce your expenses by charging very reasonably for our installation services for Reverse Cycle Air Conditioning System across Northern Beaches, Warriewood, Frenchs Forest, Beacon Hill, Balgowlah, and Cromer.